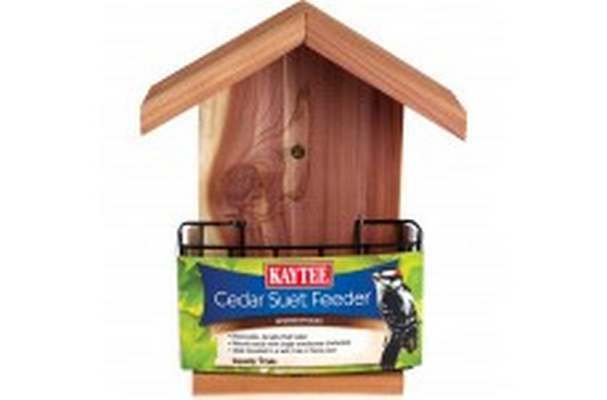 KAYTEE Cedar Suet Wild Bird Feeder accommodates suet with ease for convenient feeding. Mounts easily with single wood screw included. Ideal for mounting to a wall tree or fence post.